It’s funny how preparing a single recipe can often inspire a chain of additional dishes due to leftover ingredients. After baking the Raspberry Crumb Breakfast Bars for Valentine’s Day, I was left with four lemons without a use. I turned to the America’s Test Kitchen Family Cookbook for ideas and decided that this lemon-intensive Lemon Bar recipe would be perfect. The smooth and vibrant curd topping really makes these bars shine, and the shortbread crust is an outstanding accompaniment. Now, what to do with seven lonely egg whites? Adjust an oven rack to the middle position and heat the oven to 350°F. 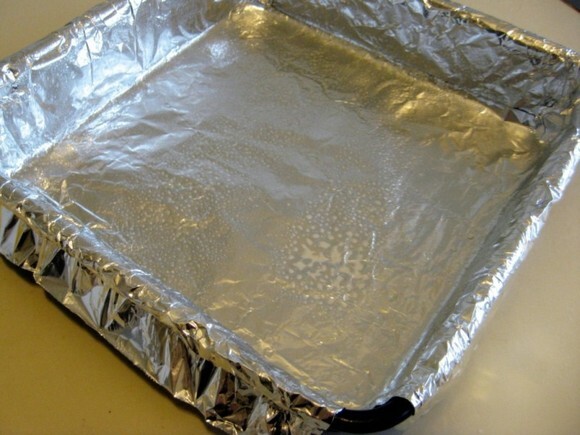 Line a 9-inch square pan by folding two 16-inch pieces of foil lengthwise to measure 9 inches wide. Fit one sheet on the bottom of the pan, pushing it into the corners and up the sides (overhang will help in removal of baked bars). Fit the second sheet in the pan in the same manner, perpendicular to the first sheet. Spray the sheets with nonstick cooking spray. Process the flour, confectioners’ sugar, and salt in a food processor until combined, 3 seconds. 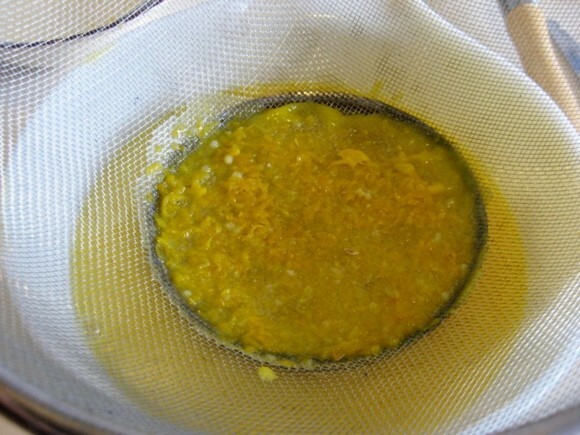 Add the butter and process to blend, 8 to 10 seconds, then process until the mixture is pale yellow and resembles coarse meal, about three 1-second pulses. Sprinkle the mixture into the prepared pan and press firmly with your fingers into an even layer over the entire pan bottom. Bake the crust until golden brown, about 20 minutes. 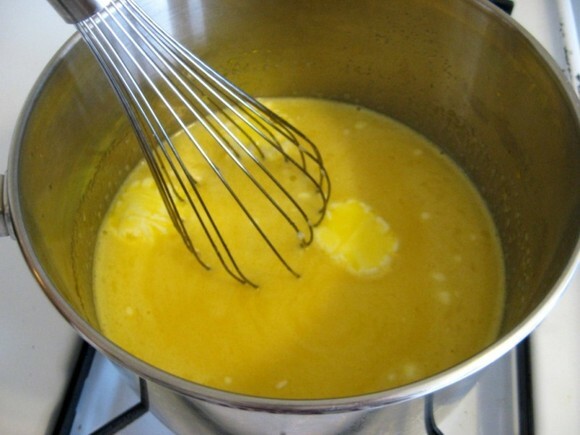 While the crust is baking, whisk the yolks and whole eggs together in medium nonreactive saucepan. 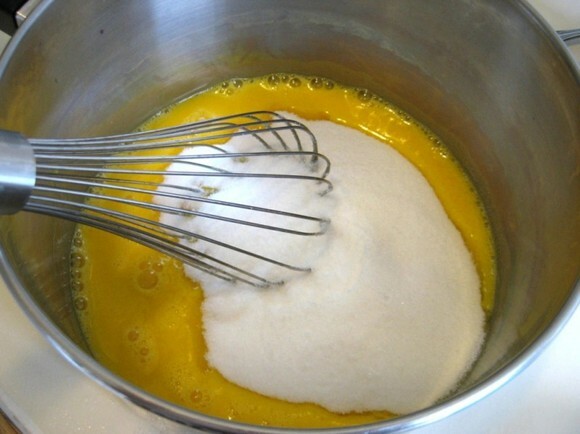 Add the granulated sugar and whisk until just combined. Add the lemon juice, zest, and pinch of salt; whisk until combined. Add the butter pieces, and cook over medium-low heat, stirring constantly, until the mixture thickens slightly and registers 170°F on an instant-read thermometer, about 5 minutes. Immediately pour the curd through a single-mesh stainless steel strainer set over a clean non-reactive bowl. Stir in the heavy cream; pour the curd into the warm crust immediately. Bake until the filling is shiny and opaque and the center jiggles slightly when shaken, 10 to 15 minutes. Let cool completely on a wire rack, about 2 hours, before removing the bars from the pan using the foil and cutting into squares. Dust with confectioners’ sugar before serving. You’re like the cake baking grandma I never had. I love citrus flavoured baked treats! And you can make pavlova with your egg whites! Maybe perfect a chocolate flavoured one for me! I’m not one to look at for inspiration but the first thing that popped into my head was meringue (duh, right?!). Terrific photos especially that last one! 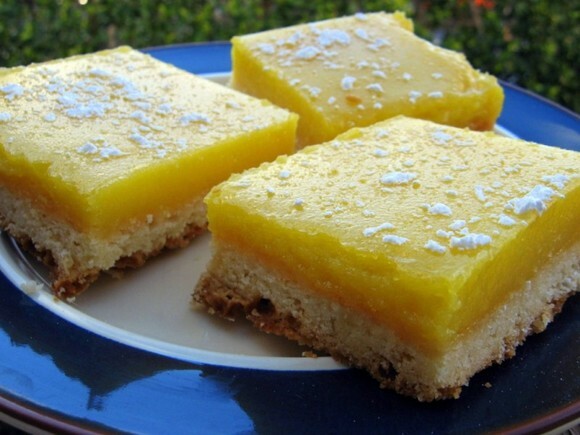 Those lemon bars looks so good! 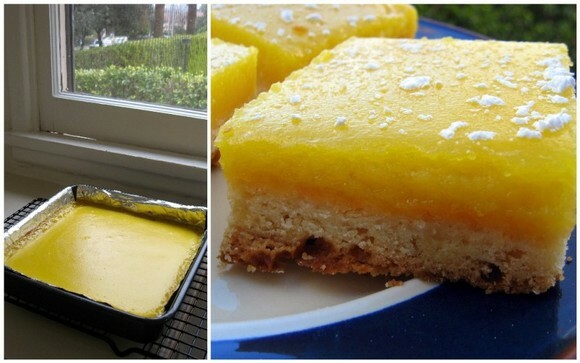 I am from México, I had the good fortune of visiting New Zeland and Australia a couple of years ago, and I tried the lemon bars, and of course, here, I haven´t try them again!! Thank you for sharing this recepie. I want to close my eyes and feel like I´m there, for just a moment!! The best LB’s I’ve found in our area are EuroPane’s. If you any better nearby…report back to us. 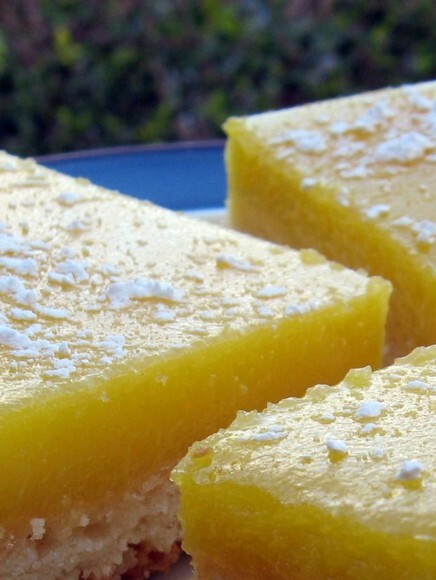 A came across this post late last night then ended up dreaming about these delicious looking lemon bars. I’m going to have to make them today! I’d like to start by saying that I LOVED these. After I cut them I removed the foil and scraped every bit of lemony goodness off I could. Even my lemon dessert hating boyfriend liked these. However, much to my dismay these didn’t travel that well. I make them a day in advance to take to a holiday party. The powdered sugar sort of liquefied on top, and they looked smooshy. I was wondering if you had any tips for the next time? They came out so fab I’d love to keep making them. 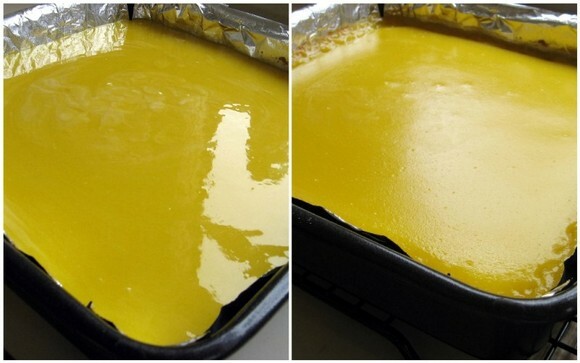 Marie – I’m so happy to hear that the lemon bars turned out well! Next time, reserve the powdered sugar treatment for just before serving. I think that would solve the problem nicely. Also, the lemon bars are well balanced even without the sugar, so you could just not bother as well. Enjoy! Ooooh I am so making these tomorrow! Have a bunch of yolks left over from making macarons! Thanks for the recipe!how long will they keep would you know? 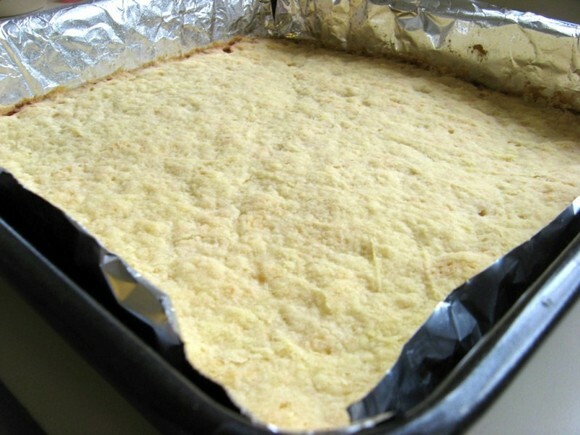 Magpie – The lemon bars should last up to a week in the fridge. However, the powdered sugar on top will dissolve within a day. 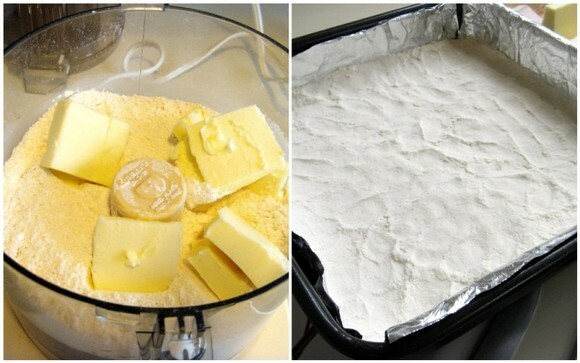 You can store the bars in the fridge and dust with powdered sugar to serve. Tried this recipe today. Another recipe my wife and I love, but I may have overcooked the lemon filling as I didn’t have an instant read thermometer. The crust was like no other lemon bar we had before. It was perfect. Great site! Looking forward to posts delivered to my email. How much salt do you put in the filling? Text says to add salt but it’s only listed as an ingredient for the crust. Jennifer — The recipe calls for a “pinch” of salt. Thanks for pointing that out! Thanks for sharing this Cook’s Illustrated Lemon Bars. I was assigned to make LB for a party this week and went to several of my CI books to see what they had, but no Lemon Bars. I did find that their original recipe was in their May 1998 magazine, so I’m so glad I found you and the recipe on Pinterest. Thanks again! I don’t always agree with their choice.